Waterlily an authentic Australian Spa Collection rich in aromatic oils and pure botanicals combined with ancient techniques of massage to enhance relaxation and beautify hands and feet. Using the ancient techniques of massage, aromatherapy and pure botanicals this aromatic foot treatment relieves stress and tension while enhancing relaxation and general wellbeing. Feet are treated to bathing ceremony, bamboo and pineapple exfoliation followed by a stimulating French clay moisturising masque. This decadent treatment finishes with a rich spearmint and gingko foot treatment and full pedicure. When time is of the essence and summer sandals beckon. Solution – the Essential Foot Therapy. Foot exfoliation, nail shape and polish. Replenish beautiful hands and nails with an essential oil steeped hand soak followed by a raspberry crème and pink French clay smoothing exfoliation. A rejuvenating hand massage is infused with a mineral-rich fruit masque. This luxurious treatment is finished with an exotic moisture boost rich in guava, Moroccan rose and vitamins and a full manicure. When time is of the essence and hands need a revamp. The Essential Hand Therapy is the solution, hand massage, nail shape and polish. Bathhouse facilities (Value $30) are complimentary when you have a Day Spa treatment of 60 minutes or more. Enjoy the Onsen-like and Spa health facilities including our beautiful 22m heated indoor swimming pool, fully equipped gym, exotic chromotherapy steam room, massage chairs, men and women’s Asian style bathhouses which include therapeutic Magna magnesium hot plunge pools, cold plunge pools and Finnish dry saunas, changing room facilities and more. We suggest that if you would like to do this that you make time before your scheduled appointment, as most spa treatments have after care which includes the application of products, so you wouldn’t want to wash or soak away the benefits of your exquisite aromatic spa experience by taking a dip in the pool or a soak in the hot and cold plunge pools after your treatment. At Aquarius Day Spa we offer a range of hair removal options that include waxing and laser hair removal. Any combination of waxing is available, however for more permanent results we recommend the latest technology in laser hair removal. Lumenis is one of the leading hair removal sellers in the USA, it is one of the fastest in the market. The Laser uses an 805nm diode wavelength, which is the industry’s Gold-Standard and has been clinically proven to safely and effectively treat all skin types. It uses suction hand pieces to minimise discomfort, it is relatively pain free and uses no messy gels. The High-Speed Integrated Technology (HIT™) reduces treatment time by 75%. Combinations/packages are available on all Laser Hair Removal Treatments. Tinting is available for both eyebrows and eyelashes. Get that gorgeous look you’re after while treating your skin with Issada Professional Treatment Mineral Makeup. 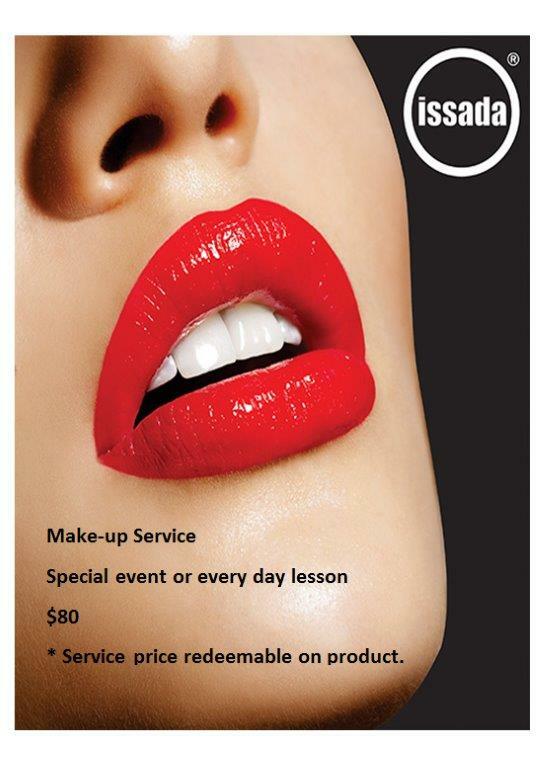 Issada is an Australian-owned boutique make-up range. Each and every Issada product has been lovingly created to transform your complexion. Luxurious colour and skincare technology combine in the ultimate pampering partnership. 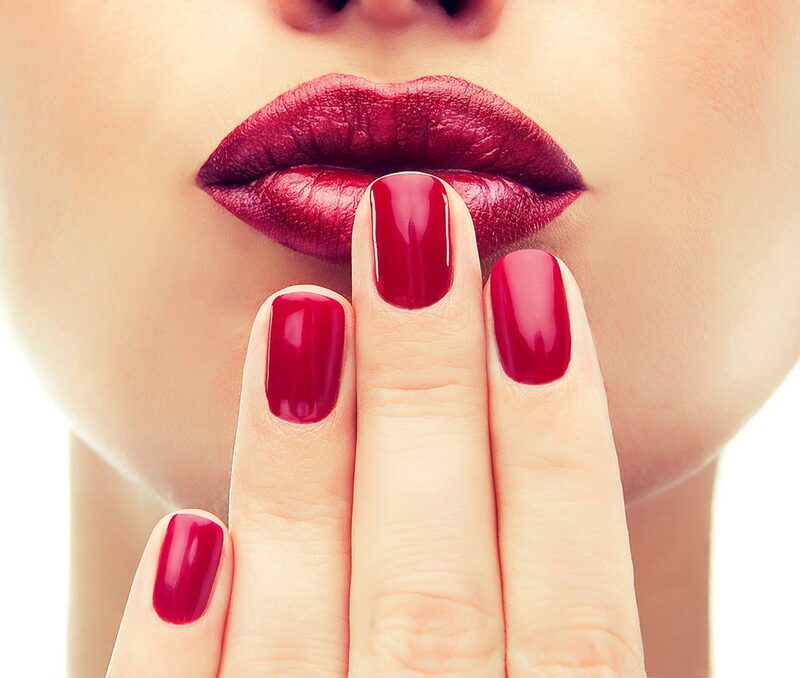 Enjoy treating your skin to sophisticated Treatment and Mineral Make-up which focuses on the health of your skin. Capture the benefits of science, nature, colour and art that is unmistakably Issada. We invite you for a consultation prior to your special event make-up. This gives you the opportunity to bring your outfit and discuss the latest trends to make your occasion the best. The consultation fee is redeemable on make-up application bookings confirmed that day. $80 for makeup application price redeemable in products.